Whether enjoyed as an appetiser, a snack, or as a meal on its own, these mouth-watering rolls of goodness will have guests wanting more. So amazingly flavoursome, it’s amazing how simple they are to whip up. Moist the rice paper with clean wet cloth. Lay Thai basil onto rice paper, add in fillings and wrap it. 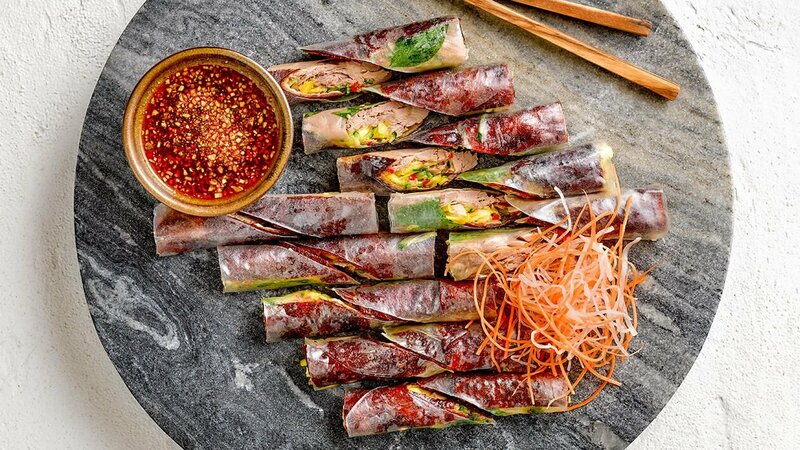 Cut and portion rice paper roll.